Redesign of the opening system of a can: after rotating the tab, the can can be opened normally, then it can be closed and locked by rotating the tab again. The can is the only beverage container that can't be resealed, so can2close uses a plastic lid to solve the problem. The quantity of plastic used is so low that the can can still be recycled. 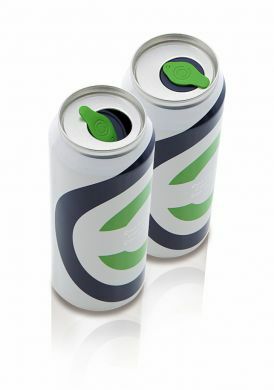 Awards: Second Prize in Canmaker magazine's "Cans of the Year Award 2012" in Tokyo; First Prize in Munich Business Plan Competition, year 2013.